A source told NBC News that Todd Palin was in "a very serious" crash Sunday night and is currently hospitalized in intensive care. 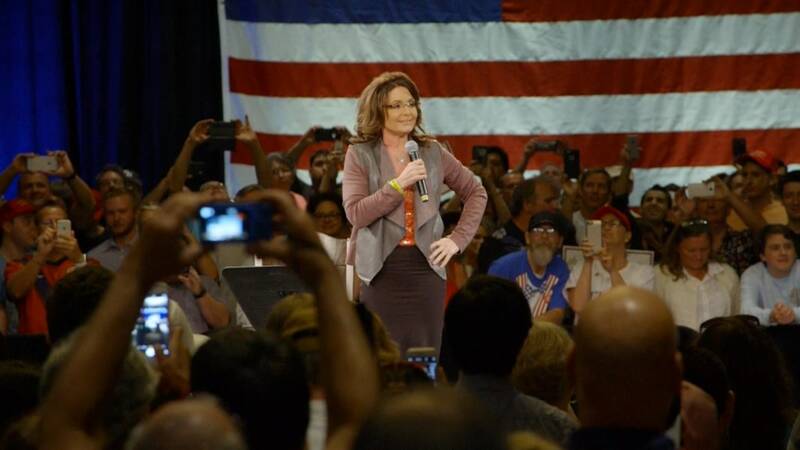 In a brief unplanned appearance before Trump's afternoon event in Tampa, Palin referenced the "little wreck" and thanked audience members for their prayers. She later posted on Facebook that her her husband suffered "multiple broken and fractured ribs, broken shoulder blade, broke clavicle, knee/leg injuries; and a collapsed lung." Palin confirmed that he was in intensive care and undergoing surgery, adding: "Knowing Todd, once he's cognizant, he'll probably ask docs to duct tape him up and he'll call it good. He's tough." Earlier, the former Alaska governor stopped by the Trump town hall in Tampa but canceled her other planned appearances with the GOP frontrunner, whom she endorsed earlier this year. She has been in contact with medical personnel and will be traveling back to Alaska today, the source said. Palin was scheduled to appear on Trump's behalf at noon ET in The Villages, Florida. Just minutes before its scheduled start time, the Trump campaign advised that the event had been canceled. “Governor Palin wishes her best to Mr. Trump in the upcoming primaries," that earlier brief statement from the Trump campaign read. Republican presidential hopeful Ted Cruz also tweeted good wishes to the Palin family.